Before discussing the five tips that will hopefully help our readers make a sound choice when deciding on a hemorrhoid treatment product, I would like to say this. Give me a minute to get up on my soapbox here and I’ll get started. We at H.I.C. find it utterly disgusting regarding the unethical tactics presently being demonstrated by some companies selling hemorrhoid treatment products on the Internet. Please know that H.I.C. has taken a beating, both financially and spiritually to keep the faith and uphold our mission, which is providing you, the reader, a safe haven to get honest, objective and accurate information. But it comes at a cost! It’s unfortunate that things have gotten to this point. I’ll never get used to it. Now here are the five tips……..drum roll please ! Five quick things to look out for when buying hemorrhoid treatment online. ♦Does the company’s website you’re thinking about buying hemorrhoid treatment from even have a phone number? ♦ Look out for false endorsement claims, such as, “as seen on”, or , “as advertised in”. If I’m paying for an ad, it’s quite different then an endorsement, which is the illusion their trying to create. ♦ Take a look at the user comment sections of some of these sites. If the comment times are all minutes apart, chances are they’re fake and the web site administrator or somebody in a similar capacity made them up. ♦Timed cure guarantees saying things like “24 hour” or “3 day cure” for most hemorrhoid conditions. Bonus Tip #2: Hemorrhoid product review sites that have other health care products they review (i.e.,acne, heartburn). Notice there isn’t a link however to buy these products. Once again, the illusion is that they are objective. It’s being used as a decoy so you think they just aren’t about hemorrhoids. 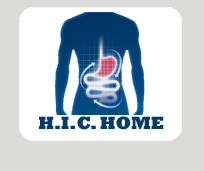 Over half a million people a year in the U.S. purchase some form of home hemorrhoid treatment. I’m sure many of the creams, ointments, ice packs, hemorrhoid toilet seats, hemorrhoid cookbooks, herbal remedies and whatever else is out there, all work well on some individuals. One thing is for sure. There is plenty of business to go around for everybody. On that note, good luck in your hunt for the right hemorrhoid treatment. I hope these tips will help you make an educated decision. Oh, and one last thing. Before you do any of this, see your doctor and get checked out. It’s better to be safe than sorry.